Semtech’s LoRa devices and wireless radio frequency technology (LoRa) for the Internet of Things (IoT) is being utilized in a network based on the LoRaWAN protocol in Brazil by American Tower (ATC). Using Everynet gateways and core wholesale technologies, the network has surpassed 400 thousand activated devices with the goal of reaching two million or more sensors by the end of 2019. According to Abel Camargo, the Senior Director of Strategy and New Business Development of American Tower, Brazil is a key component of ATC's global innovation strategy and a crucial market in Latin America. 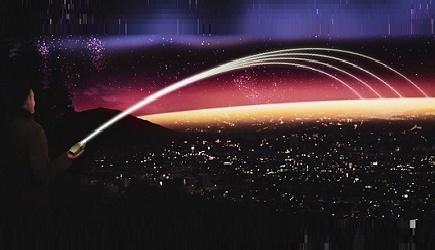 The region will continue to play a key role in the deployment of telecommunications infrastructure to support advanced use cases for a number of years to come. ATC’s LoRaWAN-based network already covers the metro areas of São Paulo, Rio de Janeiro and Belo Horizonte. 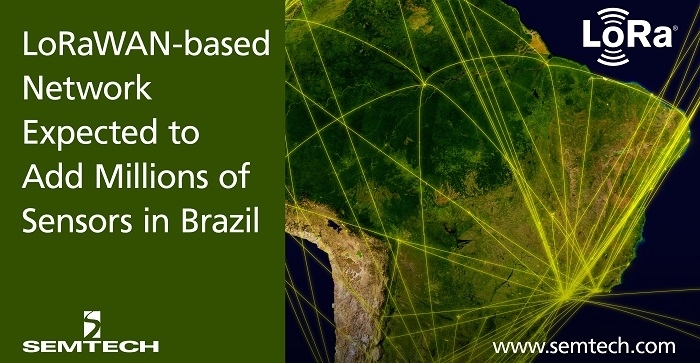 These large markets are responsible for around 25% of the Brazilian GDP, and ATC plans to continue rolling out this network to cover 50% of the Brazilian GDP, or approximately 80 cities, by mid-2019. Semtech’s LoRa devices and wireless radio frequency technology is a widely adopted long-range, low-power solution for IoT that gives telecom companies, IoT application makers and system integrators the feature set necessary to deploy low-cost, interoperable IoT networks, gateways, sensors, module products, and IoT services worldwide. IoT networks based on the LoRaWAN specification have been deployed in 100 countries and Semtech is a founding member of the LoRa Alliance, the fastest growing IoT Alliance for Low Power Wide Area Network applications.